Genuine USB programming cable for Baofeng UV-5R, UV-6R, UV-82, BF-888S and all walkie-talkies and portable Baofeng analogue such as : UV-5RA, UV5R Plus, UV-5RE, GT3, UV-82HP, but not compatible with the digital Baofeng DM-5R (DMR), nor with the UV-3R which has its own programming cable (1 pin). Allows to easily program the frequencies of its Baofeng from a computer, as well as to update the firmware of the walkie talkie. The programming cable comes with the official Baofeng software, but can also be used with CHIRP software for Windows, Mac and Linux. This cable is an original Baofeng version, be aware that counterfeit Prolific 2303 cables circulate on the market and do not work. Important: This programming cable for Baofeng analog handheld UV-5R, UV-6R & UV-82 is not compatible with digital Baofeng DMR DM-5R, Radioddity RD-5R, Baofeng DM1701 and DM1801 (cable for digital DMR Baofeng here). 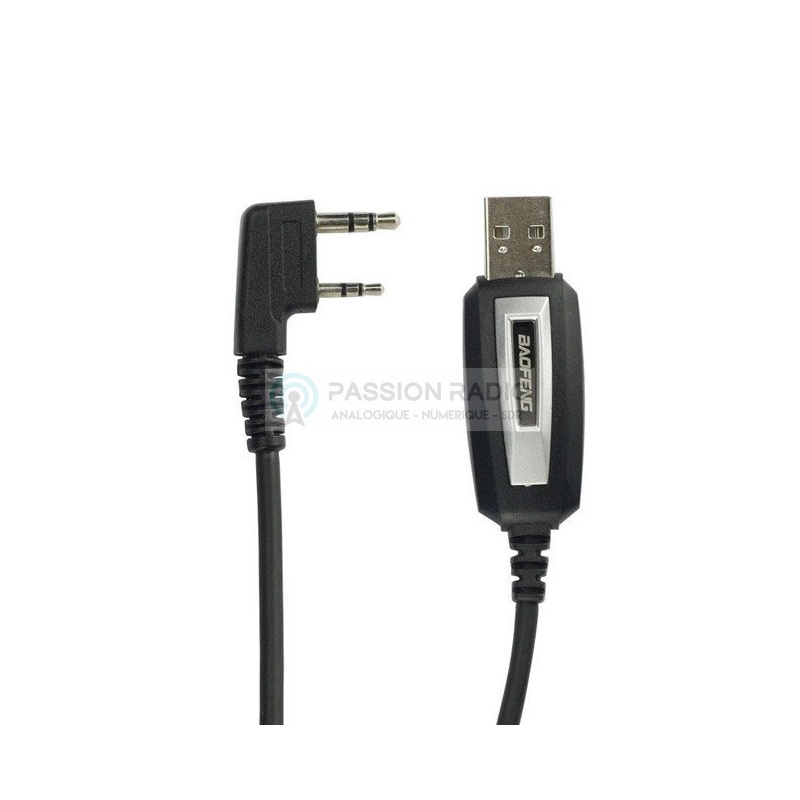 Comes with: Baofeng PL-2303 USB cable without CD (software and drivers to be download below). 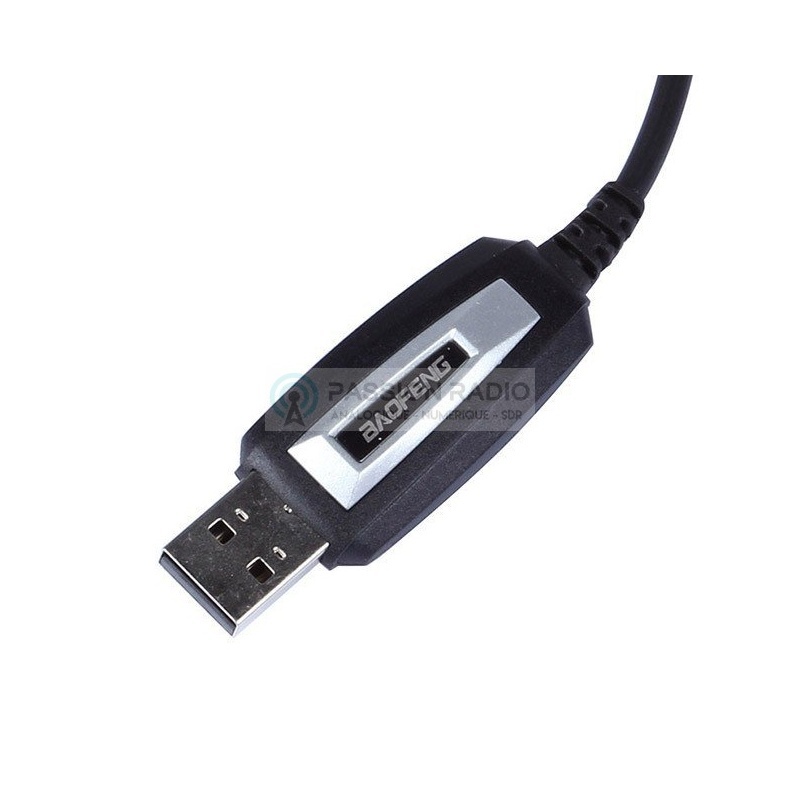 Description: Genuine USB programming cable for Baofeng UV-5R , UV-6R , UV-82 , BF-888S and all walkie-talkies and portable Baofeng analogue such as : UV-5RA, UV5R Plus, UV-5RE, GT3, UV-82HP, but not compatible with the digital Baofeng DM-5R (DMR), nor with the UV-3R which has its own programming cable (1 pin) . Allows to easily program the frequencies of its Baofeng from a computer, as well as to update the firmware of the walkie talkie. 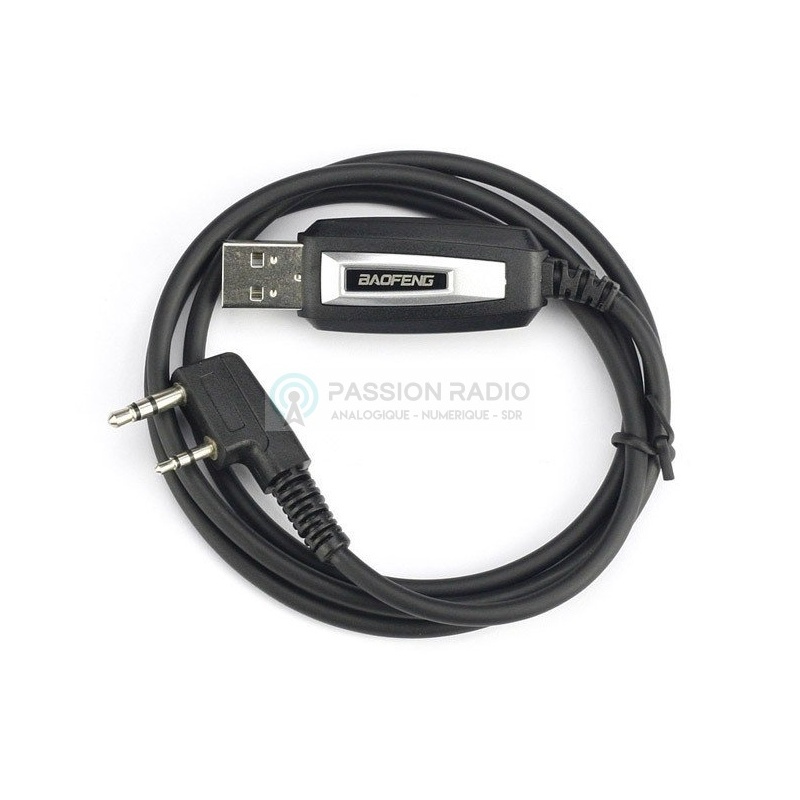 The programming cable comes with the official Baofeng software, but can also be used with CHIRP software for Windows, Mac and Linux. This cable is an original Baofeng version, be aware that counterfeit Prolific 2303 cables circulate on the market and do not work. Important: This programming cable for Baofeng analog handheld UV-5R, UV-6R & UV-82 is not compatible with digital Baofeng DMR DM-5R , Radioddity RD-5R, Baofeng DM1701 and DM1801 ( cable for digital DMR Baofeng here ). 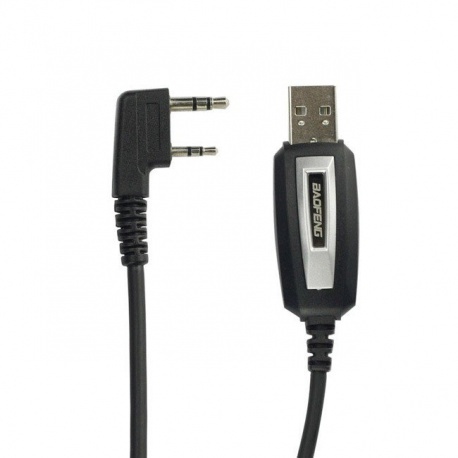 Comes with: Baofeng PL-2303 USB cable without CD (software and drivers to be download below).